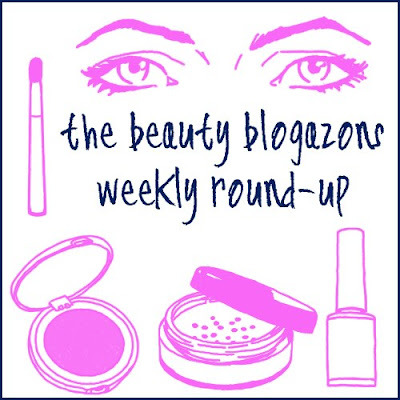 The latest and greatest from beauty blogs everywhere...enjoy!! Pinked Polish: What I have learned this year in the wonderful world of Nail Blogging. Love At First Site! : Face Of The Day, New Year's Eve! Happy New Year! Lola's Secret Beauty Blog: Lola's Secret Beauty Blog's Beauty Resolutions to Consider for 2013. Adore A Polish: Check out an in depth review on the Sally Hanson Insta Gel Strips. Polarbelle: Polarbelle wants you to consider the Anastasia Beverly Hills Kisses On My List lipgloss set while you still can! datyorkLOVES: Find out what the Top 10 Post of 2012 are for datyorkLOVES! Beauty by Arielle: ARIELLE'S TOP PRODUCTS OF 2012. TheFabZilla: Happy New Year! New Hair, New Resolutions? Check out TheFabZilla blog for deets. Cosmetics Aficionado: A new drugstore gel liner from L.A. Girl is on the beauty scene, but is it worth it? Never Gonna Give You Up: Kara showcases a nail polish favorite. Beauty by Miss L: Check out Miss L´s New Year´s Eve nails. Lacquer Buzz: Mihaela chose her favorite nail polishes of last year. Wanna see what made it on the list? Makeup Demon: Makeup Demons Top 5 posts of Year 2012! Ishah x Beauty: Gold Eyes, Oxblood Lips. My New Year's Day Look. Liesl Loves Pretty Things: Here's Liesl's personal Best Of 2012 list, Agree? Disagree? Check it out here. The Fabulous Mind of a Wacky Mama Bear: Ever wish your beauty subscription box gave full sizes? Then check out Starlooks, this is what I thought of my December 2012 Starbox. Mama Fashionista: Though she's no expert, Mama Fashionista loves the results of her first leopard mani! How do you think she did? Baking Beauty: Baking Beauty reviews the new Laura Mercier Free Spirit Palette. Rachel's Makeup and Skincare: Rachel reviews products from the new NARSskin line and finds she's impressed. Beauty Professor: The Beauty Professor reviews her top beauty products of 2012! My Newest Addiction Beauty Blog: Laura from My Newest Addiction Beauty Blog invites you to get ready with her! Lisa's Nail Obsession: Come on...you can think of something better for the alphabet challenge than "Q" for Queen. No? Then, All Hail The Queen!